India is looking to acquire more medium multi-role combat aircraft (MMRCA) despite the government announcing the purchase of 36 French Rafale jets in April this year. The Russian MiG-35 is back on the radar of the Indian government’s interest. 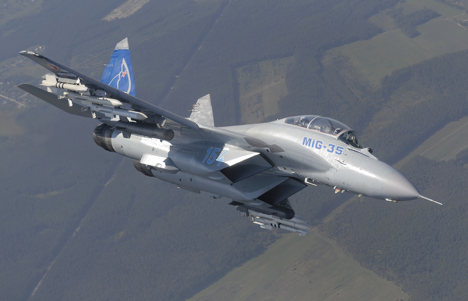 MiG-35, the new Dogfight hero: Alternative to Rafale? The tender to supply Rafale aircraft to India was won by the French in 2012, when their fighter jet was chosen over the Russian MiG-35, the European Eurofighter Typhoon, the Swedish SAAB JAS-39 Gripen, and the American F-16 and F/A-18E/F. However, the contract was never concluded. Some of the aircraft were to be delivered as a finished product, while the rest were to be made by Hindustan Aeronautics Limited (HAL) in India, using technologies from the Dassault Company. The reason differences arose during contract negotiations was the increased price for fighter jets demanded by the French, and the unwillingness of Dassault to give guarantees for aircraft that were supposed to be produced by HAL. As Korotkov told RIA Novosti earlier this year, RAC MiG has “every opportunity to compete” and the corporation “retains hopes that a new tender competition will be announced”. The MiG-35 is a new combat aviation system, whose avionics include integrated fifth-generation information and targeting systems. This is a multi-functional aircraft that can be equipped with high-precision weapons to attack any target, and it can also perform certain functions that were previously assigned to reconnaissance aircraft.